My apologies for the dormant blog, it was set up as a precurser to the main attraction, that attraction just moved one step closer. 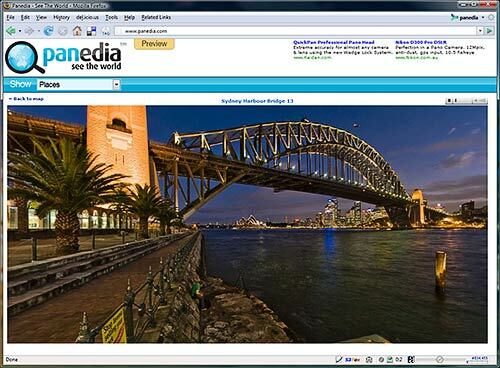 May I present a preview of Panedia, with over 700 virtual tours for your viewing pleasure. It’s still very early days with a great deal of functionality & testing to come. I’ll keep you posted as new features are added. 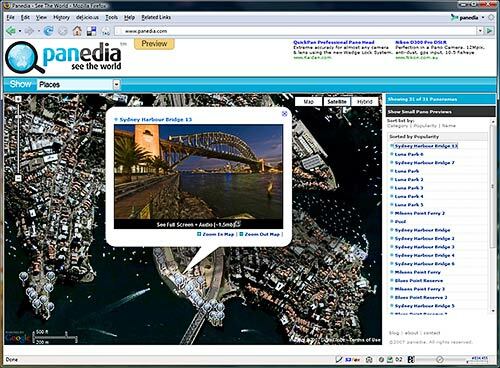 You need Flash 9 to see the Virtual Tours in Panedia. We’ll be adding other viewers soon, including hardware accelerated viewing for those who like the ultimate in pano quality. It looks great! I’m really impressed.